Tawn grew up on Willow Hill Farm where she started riding at the age of three. 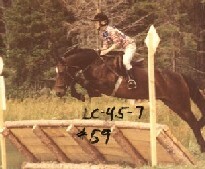 She became a member of the U.S. Pony Club and achieved the C rating by the age of 11 and the B rating at 14. Pony Club ratings are a nationally recognized standard of excellence. Tawn's family is entirely about horses. Her parents and sister, Tara, continue to run Willow Hill Farm in New York and her brother Ken runs Eagle Oaks Farm in Ocala, Florida. From very early in life Tawn was involved in the care and training of her family's 60+ horses. She began assistant teaching at age 12 and was a full-fledged instructor at 16. 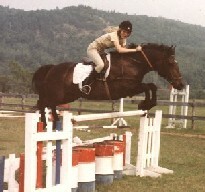 She taught at Willow Hill Farm Camp, AuSable Valley Pony Club and had her own riding program in Dalton, MA. In all, her teaching spans 30 years. Tawn has competed to the Third Level in dressage and the Preliminary Level in Combined Training. She has schooled and trained dozens of horses and hundreds of students. She opened Willow South Riding School in Alpharetta in June of 2000. In an effort to bring the best possible instruction to her school, Tawn is a member of American Riding Instructors Association and she has earned certification in Combined Training from this prestigious organization. Tawn also attends symposiums organized by the Intrstructor's Certifincation Program for the USEA (United States Eventing Association). Tawn's teaching style is probably appreciated most by pre-teen and teen-aged riders. Tawn's specialty is starting children in the sport of eventing. Her young "team" of riders have topped the he USEA Leaderboard for 2008 and 2009 forward for Beginner Novice and top ten for Novice in 2012. Tawn regularly competes in Area III and Area I events as well as Canada. Tawn continues her own training with regular guidance from area professionals such as Karen McGoldrick, Mary Bess Sigman Davis, Becky Holder, Julie Richards. And where possible - clinics with Lucinda Greene and Jimmy Wofford. Tawn regularly uses the books and teachings of Wofford to train her ponies and improve her students.